Today is my first travel guide from France! 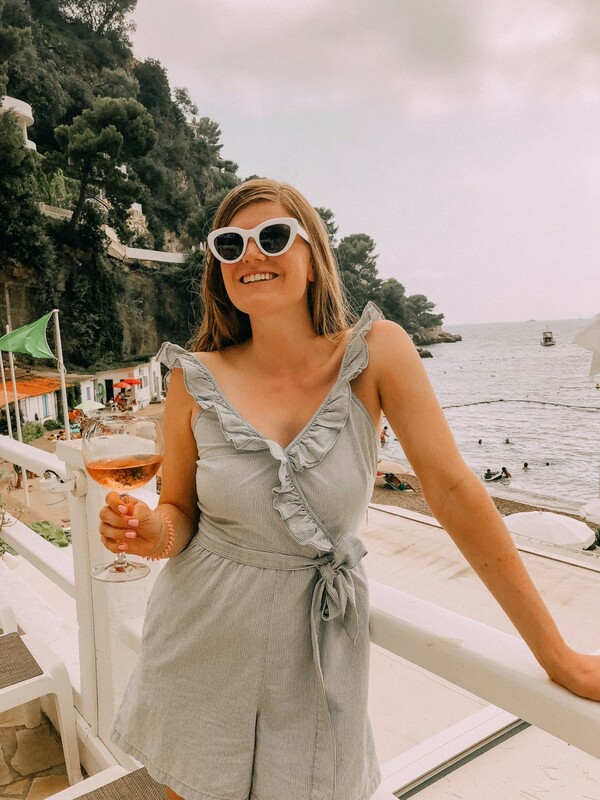 I’m sharing things to do in Nice, as well as travel tips and tricks for the area. 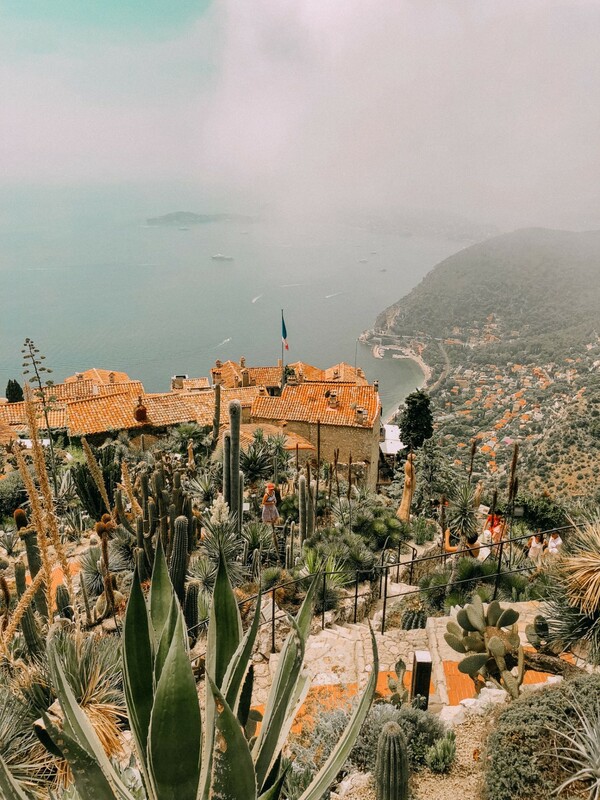 The French Riviera had been high on my travel bucket list for years, and when Connor and I found out that we were moving to London I knew it would be one of the first places we would visit. Not surprisingly, it lived up to every expectation I had and more. It’s a place that hasn’t been “ruined” by Instagram – it’s even more breathtaking than the photos I had seen in my feed. We decided to stay in Nice as our home base, but we knew that we wouldn’t be spending much time there. Through my research I found Nice to be both the most inexpensive place to stay, as well as the most centrally located. We stayed in a lovely Airbnb just 5 minutes from the Nice train station (happy to share details to those interested – shoot me an email). 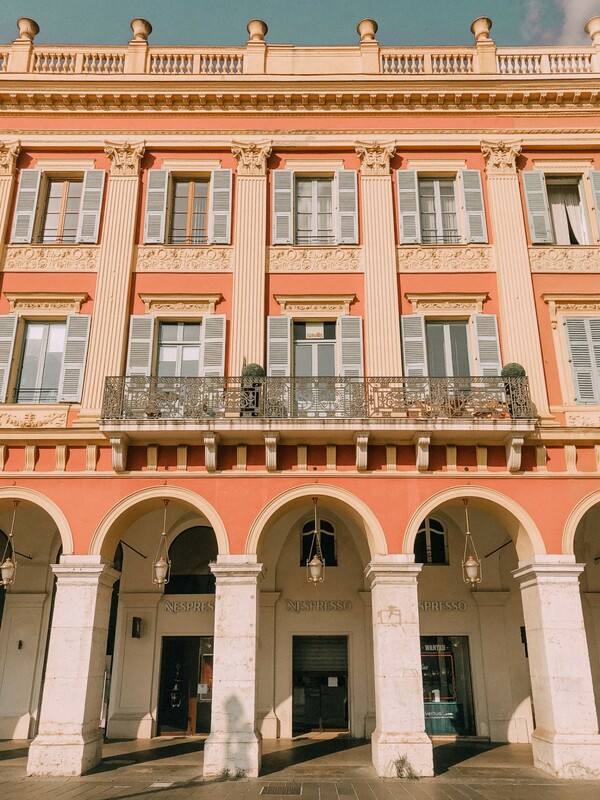 Below are my favorite things to do in Nice, as well as my French Riviera travel guide. 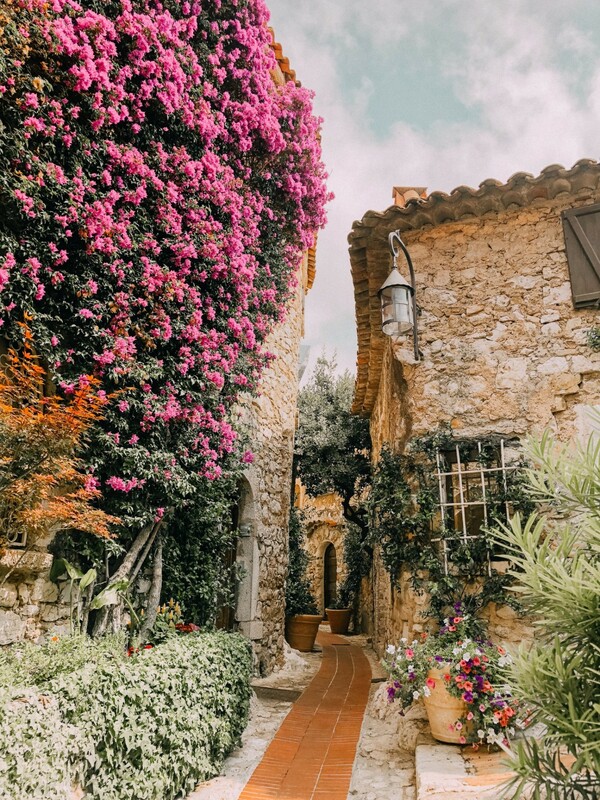 Èze is a beautiful town just north of Nice, easily accessible by train and bus (note to travelers: It’s up on a mountain, and the bus ride there gets a little dicey at times on the cliffs! It’s a gorgeous drive, so just try to focus on the view if you’re frightened by heights). 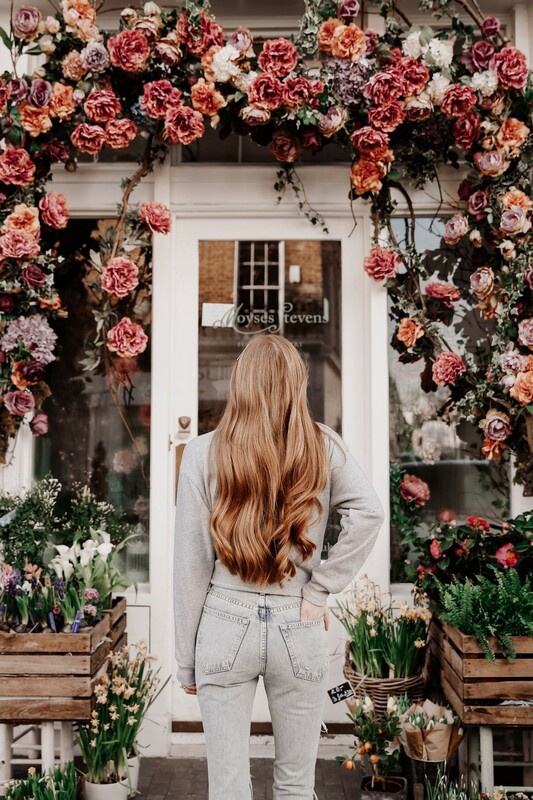 The entire village is straight out of a fairytale, and we had the best time exploring all the nooks and crannies. There are several bars and restaurants overlooking the sea for visitors to relax and grab a bite to eat. There’s also sweet little shops with antiques, handmade straw totes, sundresses, and more. At the very top of Èze is a beautiful tropical garden. While exploring the village is free, you do have to pay to go up to the gardens. It costs €6 per person, and it’s worth every penny. The gardens themselves are a sight to see, but the real attraction is the view from the top. You’re so high you can practically touch the clouds, and you have an amazing view of the sea and neighboring villages. I could have stayed up there all day! Another town not to be missed is Cap-d’Ail. This hidden gem might be the highlight of our entire trip, including our time in Provence. 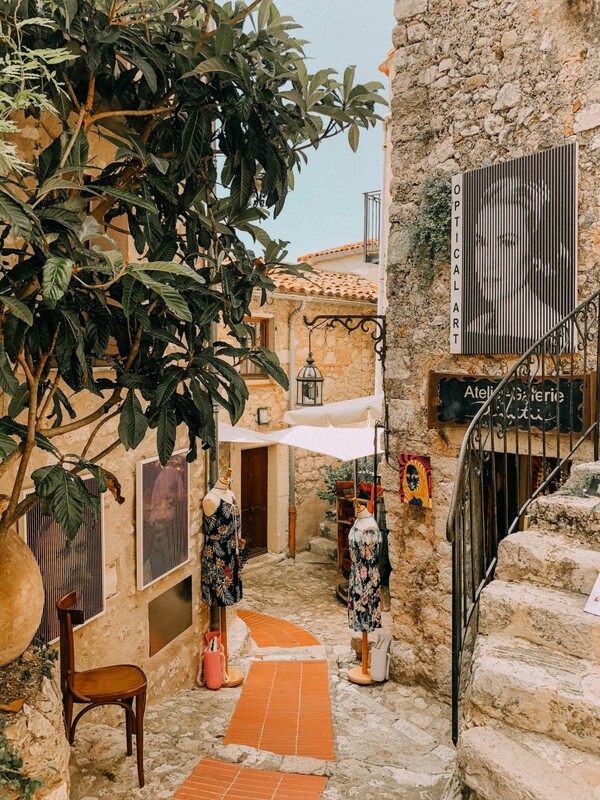 It’s one stop further north on the train from Èze, so you could easily do both in the same day, which is what we did on Friday. 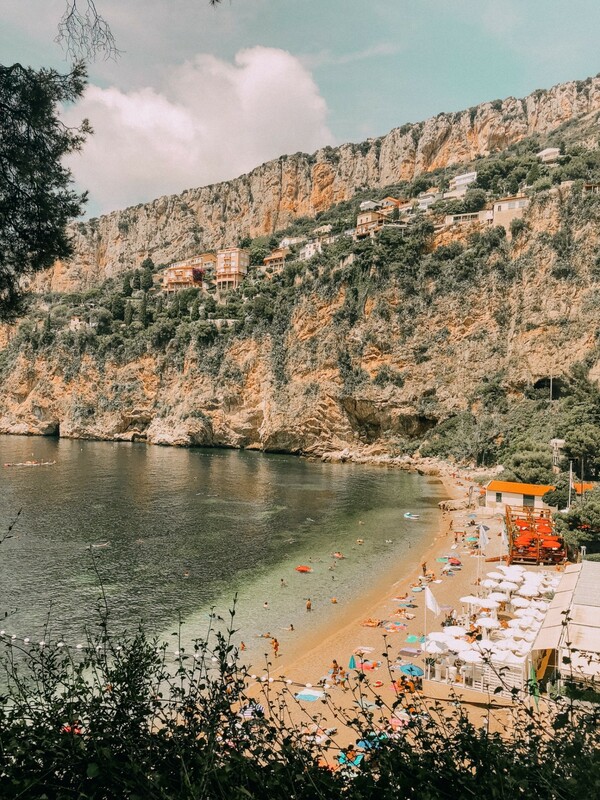 We headed to Cap-d’Ail around lunchtime, and walked straight down to a small beach called La Reserve de la Mala (the walk down and back up is very steep, and takes about 15 minutes. It’s not ideal for little ones or the elderly). We enjoyed a delicious lunch at the beach club, and then decided to change into our swimsuits and rent beach chairs for the rest of the afternoon. The water was just too inviting – it’s the most brilliant turquoise color! You’re also able to bring your own towels and umbrellas to the beach should you choose to do so. We loved this place so much we ended up coming back Saturday afternoon as well – it’s quite possible my favorite beach on the planet. I call it a hidden gem because it was never too crowded, even though it’s quite a small beach. I hope it never gets too discovered, as it’s a little slice of heaven. 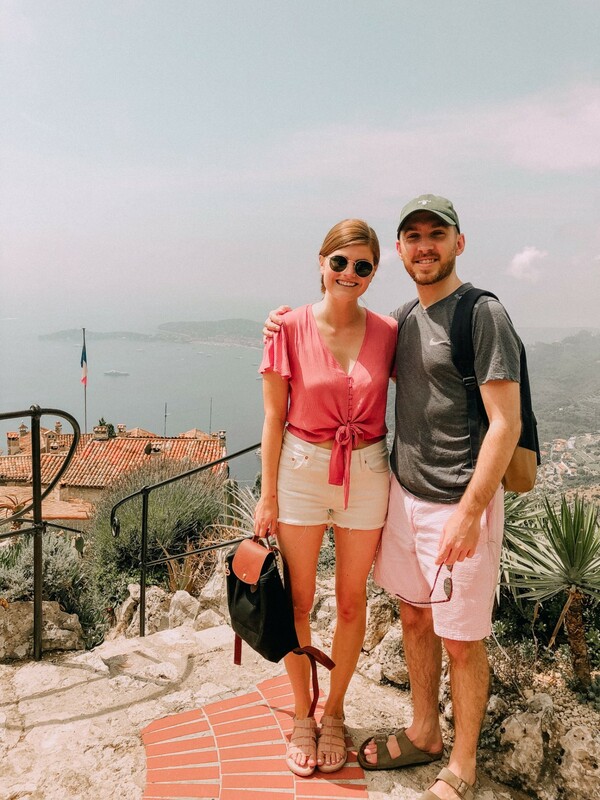 Connor really wanted to see Monaco and the famous Monte Carlo, so after our fabulous afternoon relaxing at Cap-d’Ail we headed to Monaco for the night. I personally didn’t think it was anything special, but Connor loved it! The cars were insane, and everyone was dressed to the nines. We played roulette and ended up winning €100, which we then immediately spent on a delicious omakase dinner at Nobu. 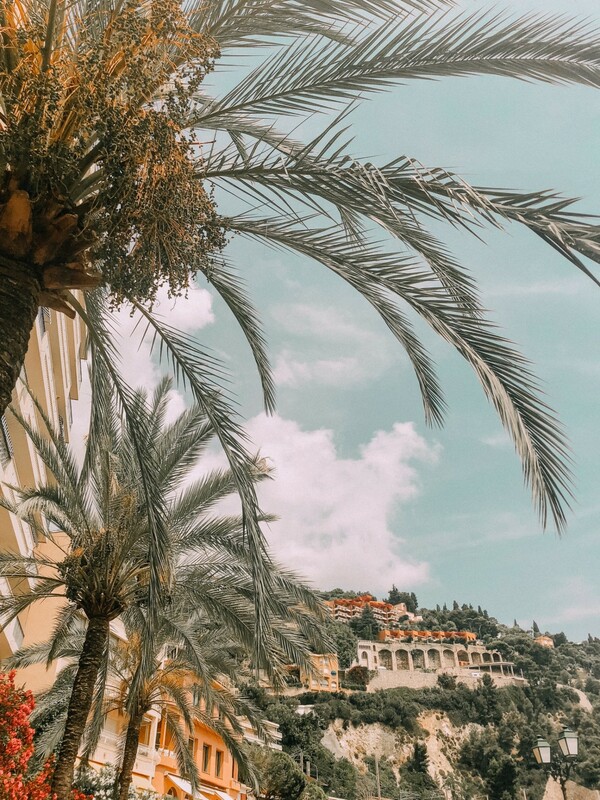 Monaco is definitely guy heaven – lots of scenes from James Bond were filmed there and they’re also host the Monaco Grand Prix car race. I wouldn’t necessarily say this is a place to go with girlfriends, but any guy would enjoy seeing Monaco! Another town not to be missed is Villefranche-sur-Mer. It’s the cutest colorful town just one train stop north of Nice. They also have a really nice beach club, which was unfortunately closed for a private event the day we visited. We didn’t want to purchase our own towels and umbrellas from a store, so we ended up heading back to Cap-d’Ail for the afternoon. But we spent the morning wandering the colorful streets, and it’s just gorgeous. Carry your swimsuit with you everyday, even if you don’t plan on going to the beach. Connor and I never planned to go to the beach everyday, but we always ended up there. It was so hot the week we were there, and swimming was the only relief! Those turquoise waters are just too tempting. Wear appropriate clothing. If you’re visiting during peak summer season (July-August), the temps can hit over 90 degrees. Be sure to dress in breezy linen or cotton fabrics, and wear sandals that are both comfy for walking and also beach appropriate (these jellies are your best bet). This is a no-brainer, but be sure to pack sunscreen and hats in your day bag! I recommend this sun visor for travel – you can it up roll super small and it doesn’t lose it’s shape. If you choose to bring your own towels and umbrellas, hit the beach early to secure your spot. They get crazy crowded! All of the beaches offer at least one beach club with chairs and towels available for rent, which is what Connor and I decided to do. It can cost anywhere from €20-€40 per person to rent both a chair and towel for the afternoon, but to us that price is worth it. It means we don’t have to lug around towels and umbrellas all day, and we can enjoy a chilled glass of rosé right at our chair. We never booked a reservation and were luckily able to get in, but I would definitely recommend making reservations with the beach clubs prior to your visit. Be prepared for delays. The trains are cheap, but rarely run on schedule. The best way to avoid train delays is to get out early, but on your way home you will inevitably run into a delay. We experienced everything from 5 minute to 40 minute delays. If you choose to rent a car, be prepared for the driving conditions! The roads are steep, narrow, and winding, as the towns are nestled into the base of mountains and cliffs. Uber was available everywhere we went, with the exception of Monaco. Since Monaco is technically it’s own country, it has police officers at the border monitoring who is coming in and out. The best way to get to and from Monaco is by train. The best time of year to visit the French Riviera is September. The summer crowds are gone, but the weather is still pretty warm. Honestly, when we went it was TOO hot. I’ll never go back in July again, but hope to head back in September next year! Beautiful pictures Mollie! Will have to come back to your post whenever I plan a trip to that region. Girl, your photos are fabulous. 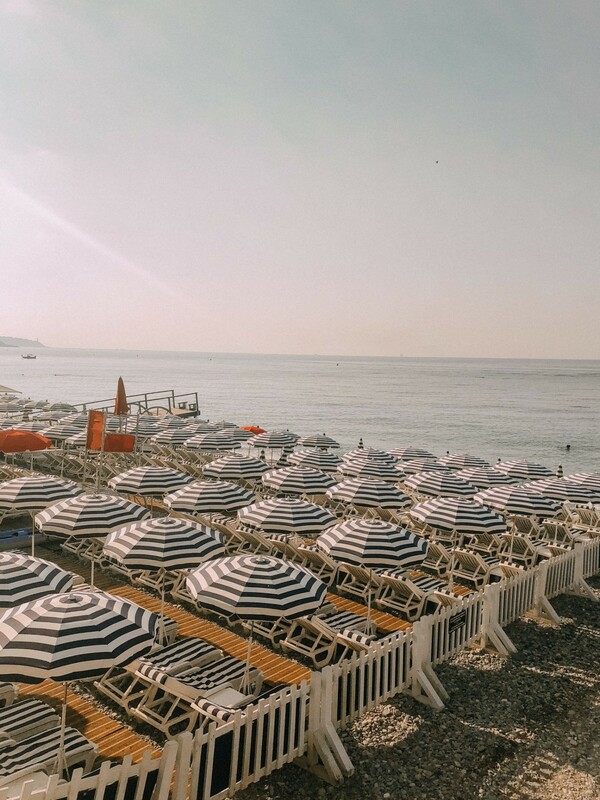 I’ve only ever been to Paris, so I’ll definitely have to add the French Riviera to my list! Awesome guide gal and absolutely beautiful photos! Oh my it looks AMAZING there!! I would love to visit the French Riviera one day. And your tips are so helpful. Good to know to bring my swimsuit with me all times and using the train! Wow, looks so beautiful!! I love these photos, makes me want to book a spontaneous trip out! Ugh this is my dream! I hope to be able to go one day! It’s so beautiful that I’m 98% sure it isn’t possibly real haha! I’m glad you got a chance to visit and enjoy it! Such a dreamy vacation spot!! You have me wanting to visit now! It looks beautiful!